Agribusiness offers a unique introduction to the business of agriculture: what agribusiness is, why it matters, what the role of technology is, how trade fits into the picture, what its key risks are, who is lending and investing and why, and what returns they are getting. It is both practical in orientation – focusing on the role of managers in the industry as well as that of lenders and investors – and international in scope – drawing on case studies and interviews with key figures all over the world. • agribusiness lending: why, who, and how. 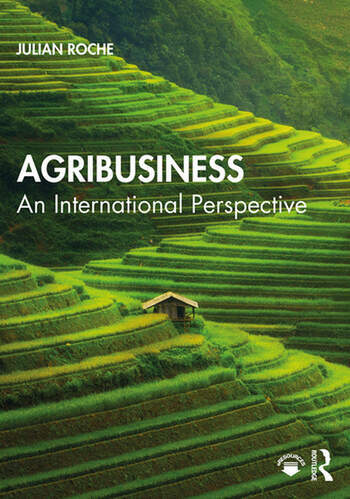 This engaging textbook offers a complete guide to the international business of agriculture which is ideal for all students, scholars and practitioners. A selection of eResources are also available to supplement this text and Instructors will find PowerPoint slides, discussion questions, case studies and further teaching materials available to them. Julian Roche is an international financial trainer and consultant who has taught agribusiness and finance worldwide for over two decades. After serving many years as a consultant to UNCTAD, he is currently an Adjunct Professor at the University of Western Australia, Australia.